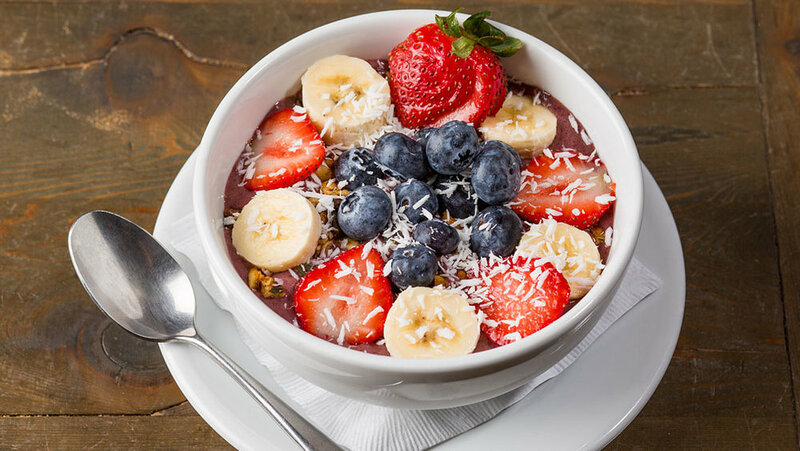 Located in the Linda Mar neighborhood of Pacifica, Beach Monkey Organic Cafe serves small batch pour-over coffee and espresso, acai bowls, soups, sandwiches, salads, beer and wine. The menu includes nutritious vegan, vegetarian, and gluten-free dishes. Free wi-fi, outdoor seating. Kids and pets welcome! 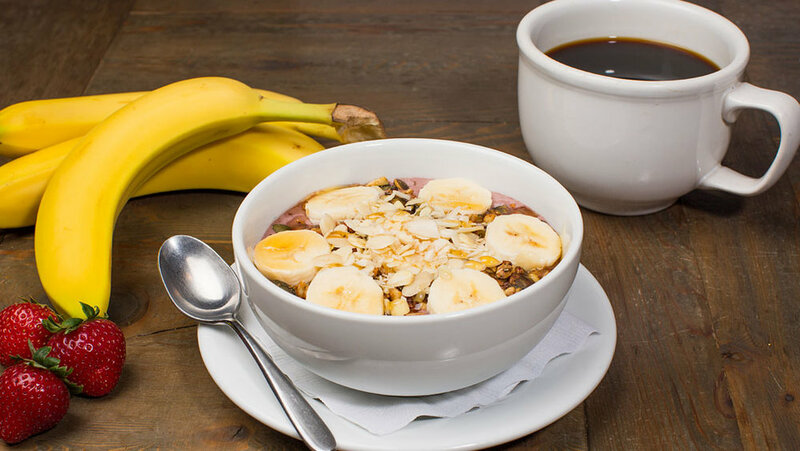 COFFEE & BREAKFAST – Hand-roasted organic beans. 7 different roasts. Choose a pour-over, an espresso drink, tea or chai. We only use Strauss Creamery dairy products and Ghiradelli chocolate. 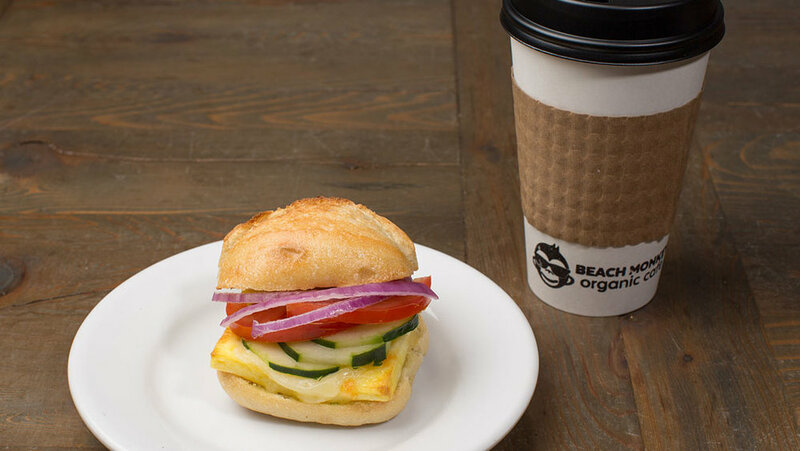 Add our famous breakfast sandwich or another healthy option, and you’ll leave happy! FULL SERVICE CAFÉ – Organic choices, vegan choices, lots of delicious choices! Plus a not-just-for-kids menu. 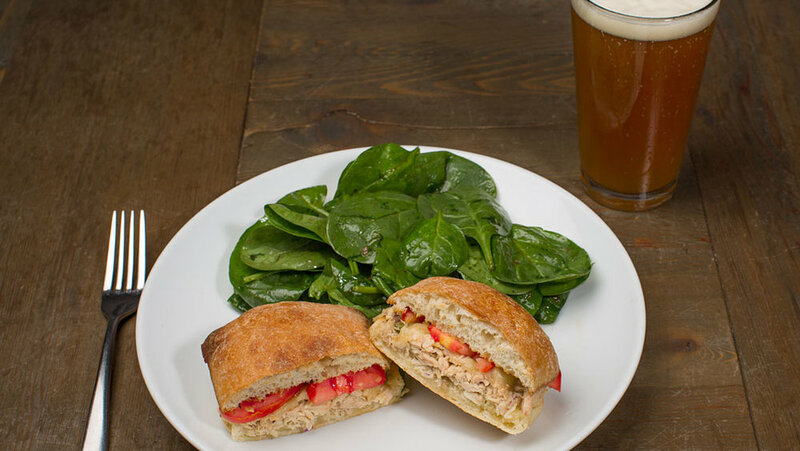 Homemade soups, sandwiches, salads, appetizers, desserts, beer and wine. Vanilla ice cream topped with chocolate and whipped cream. Ask for nuts!